While often selected for its practicality and smart appearance, short hair needn’t be the safe choice. 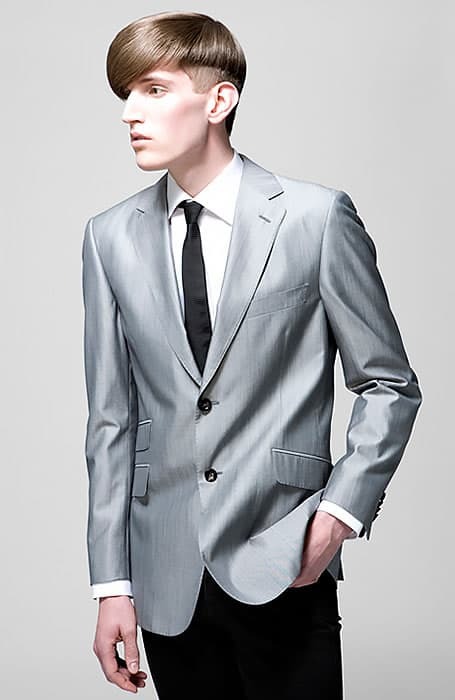 In fact, a cropped cut makes an excellent option for fashion-forward gents who want to stand out while looking sleek. 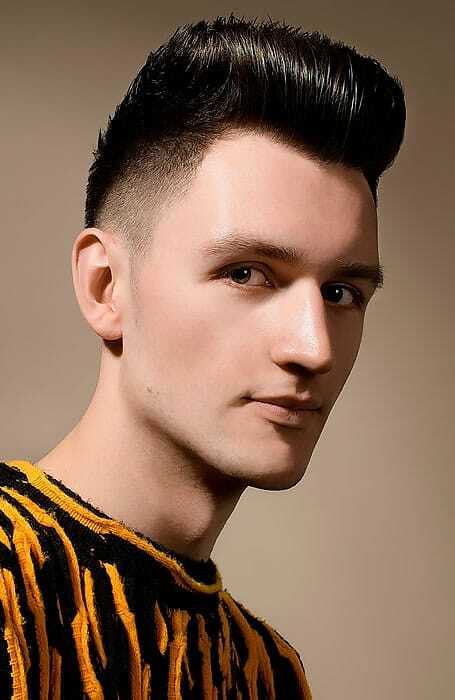 From sharp crew cuts to cool quiffs, today there is an abundance of on-trend and bold new looks. But, with so many choices, deciding which short-haired style to try can be challenging. Thankfully, we can help make your decision much easier with a selection of inspiring cropped cuts. 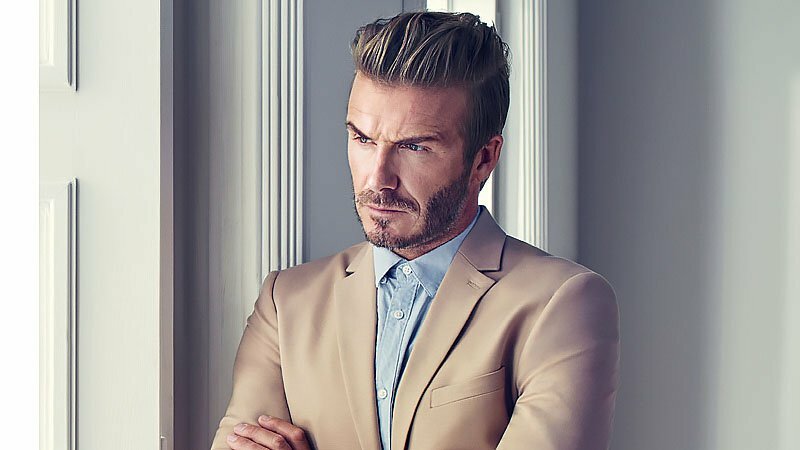 Here is our roundup of the best men’s short hairstyles and haircuts to try right now. 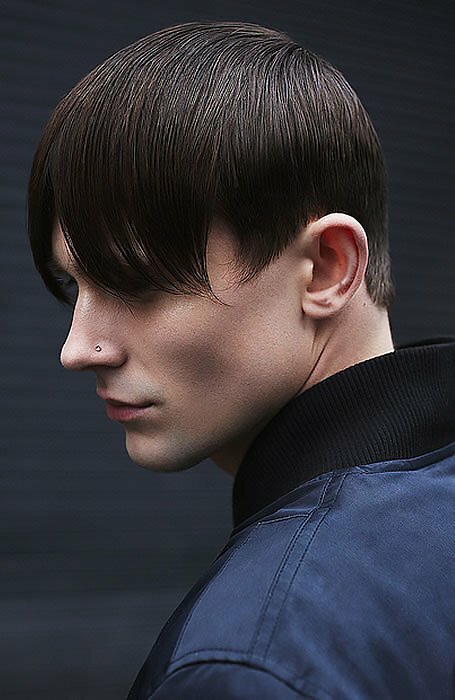 The classic 1990’s bowl haircut is back and better than ever before. 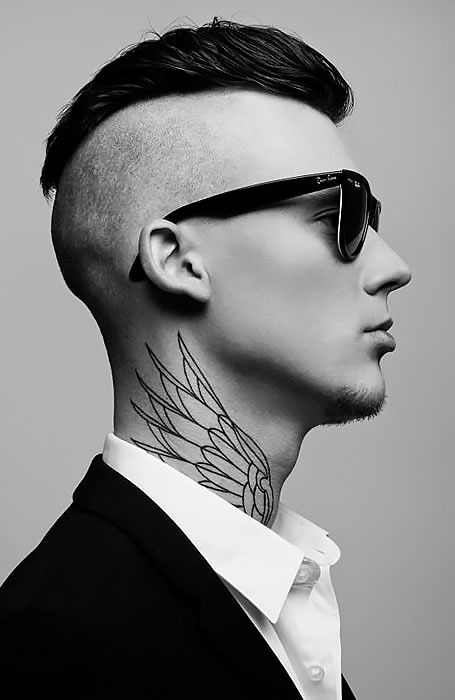 Today, the undercut hairstyle appears edgy and can be worn either neatly combed or a little dishevelled. 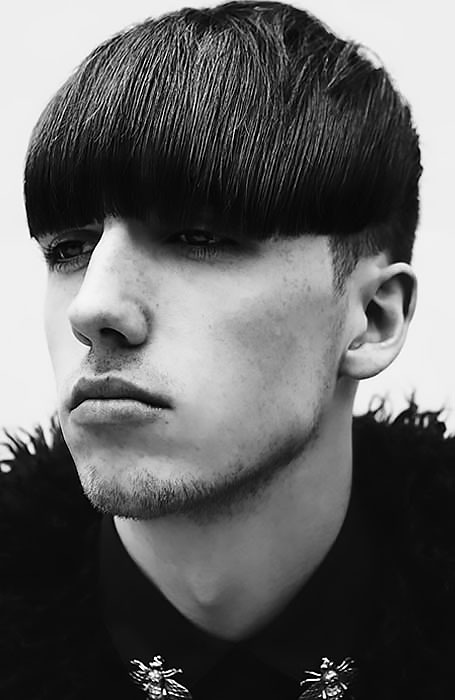 For a more contemporary take on the classic bowl cut, try partnering it with side-swept bangs. The combination also tends to be more flattering than the traditional look, which features a horizontal fringe. 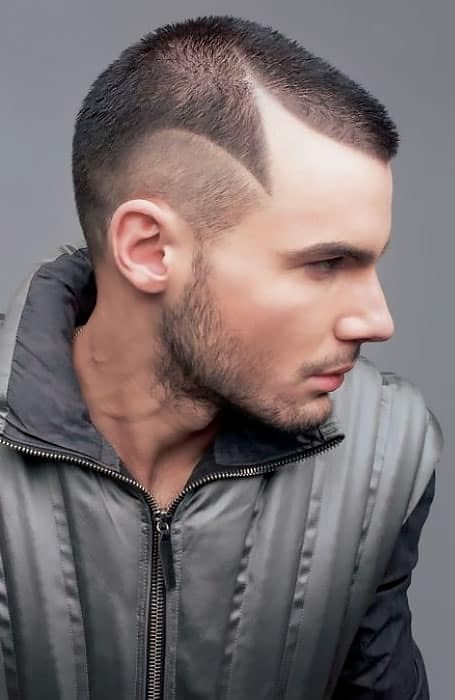 If a standard buzz cut is a little too plain for your tastes, you should consider having a unique design shaved in. 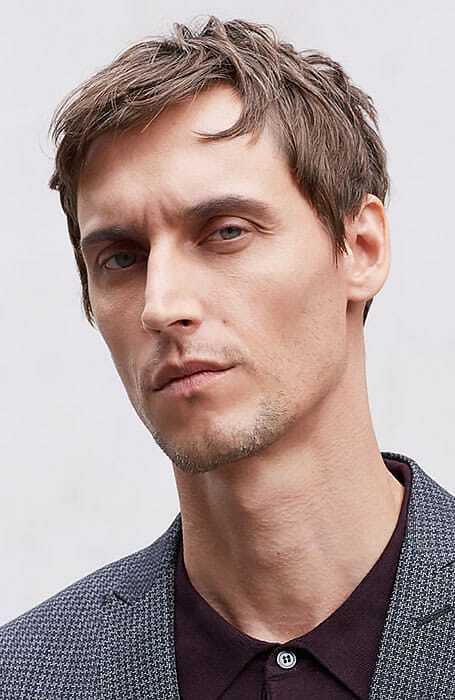 The Caesar cut, which received its name from the Roman general, Julius Caesar, is perfect for gents who like their short strands to have a sharp edge. 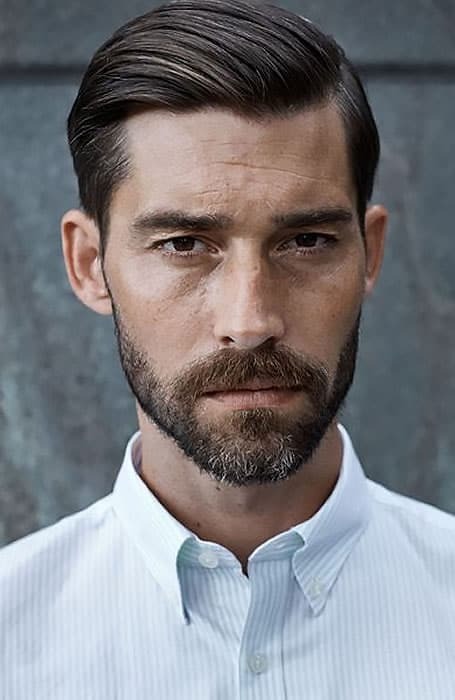 By just combing back your short strands, you can create a style that appears classic, polished, and perfect for the office. 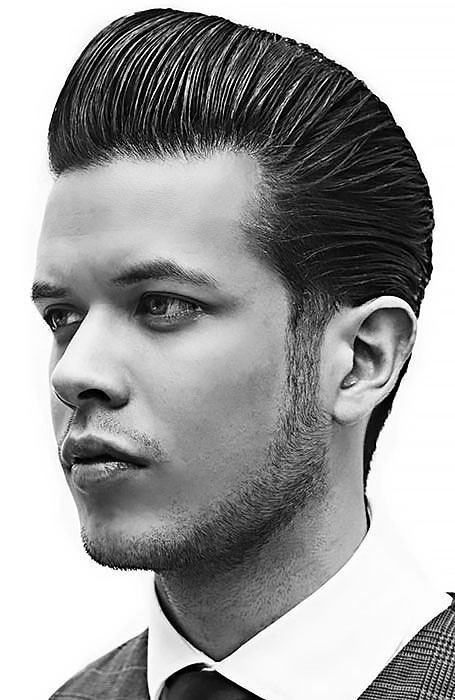 The pompadour is one of the most popular hairstyles of the moment for stylish gents. Although the look may have been made famous for men in the 1950s, it still appears cool and contemporary in 2017. 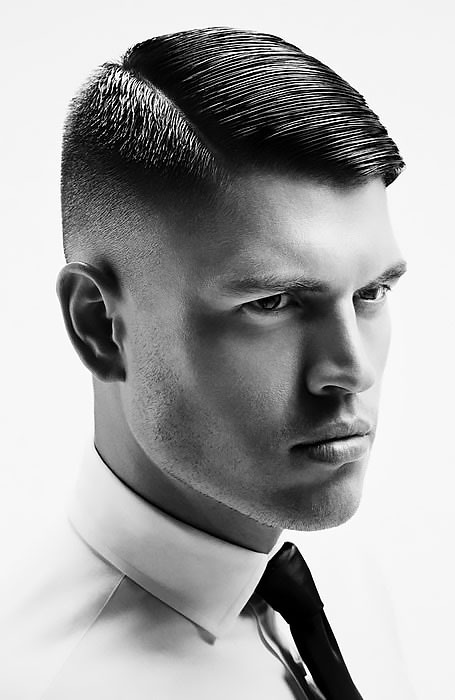 The comb-over hairstyle has long been a top choice for gents thanks to its polished appearance. 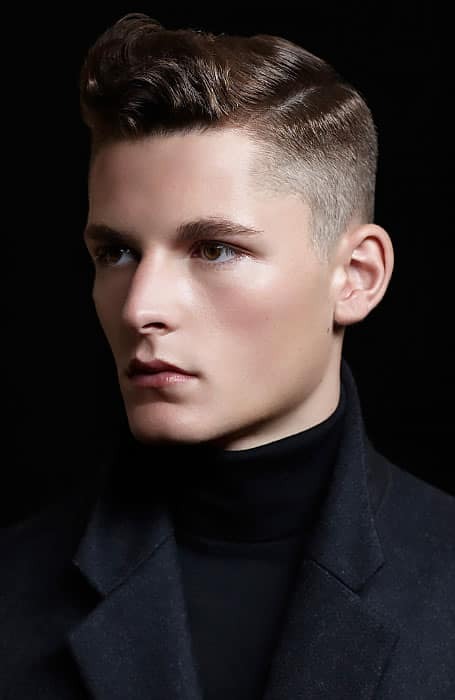 The look is especially ideal for men with fine hair who need a style to suit their thin locks. 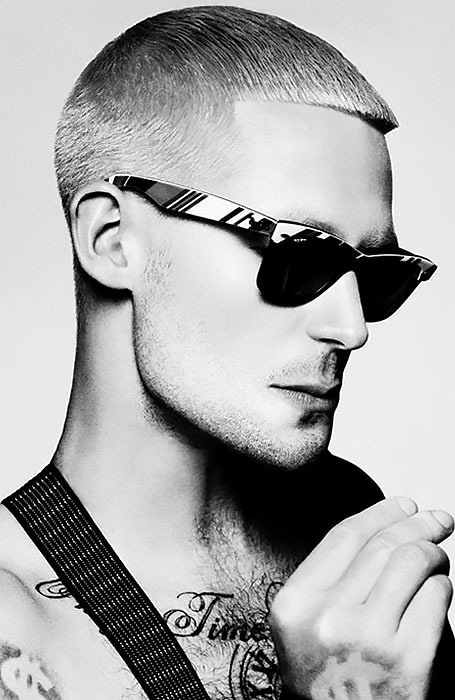 When it comes to short haircuts that are both practical and stylish, nothing beats the crew cut. 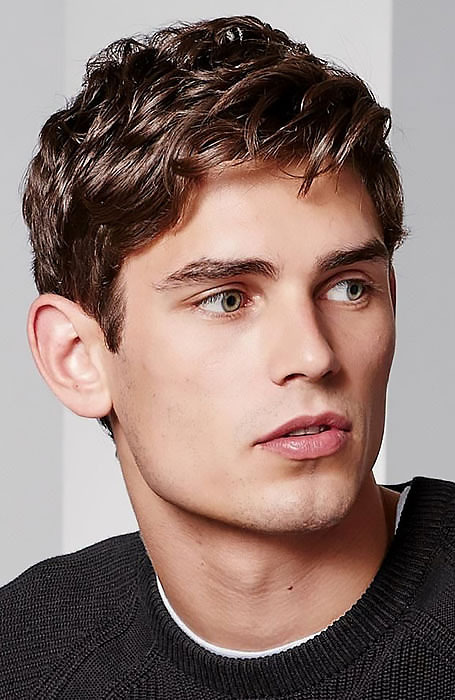 If your locks are curly, you should consider styling your strands into a quiff to show off your natural volume and texture. 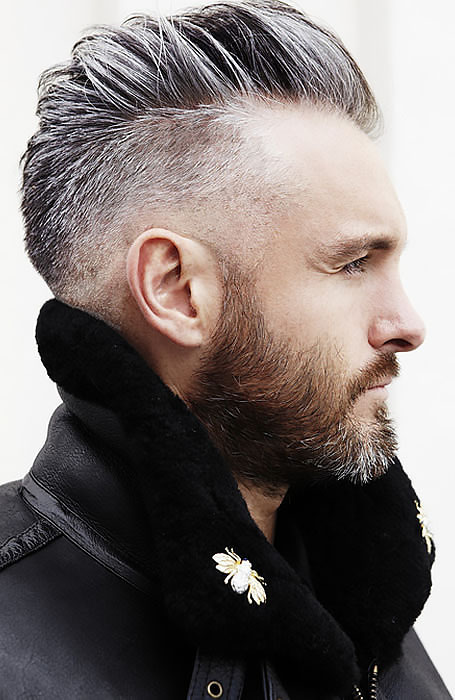 The disconnected undercut, which features short sides contrasted with a long top, is edgy, modern, and seriously stylish. 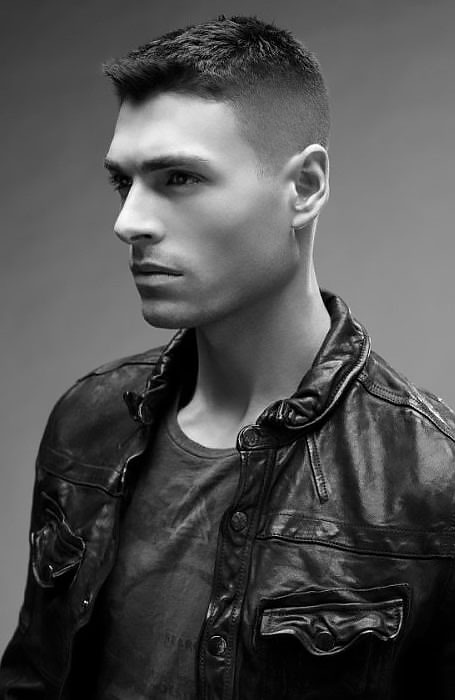 A fauxhawk haircut can project an edgy aesthetic without appearing as intense or severe as a traditional mohawk. Thanks to its upright style and horizontal cut, the flat top boasts a distinct appearance that can make any gent with short strands stand out. 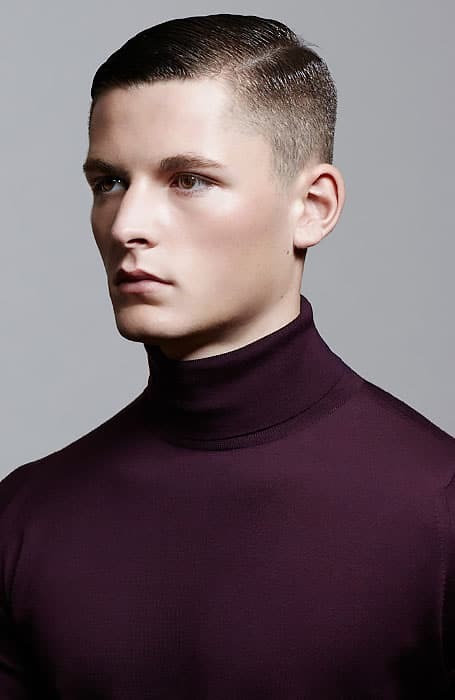 The high and tight, which features barely-there sides and a slightly longer top, is a traditional military haircut and a variation on the collegiate crew cut. 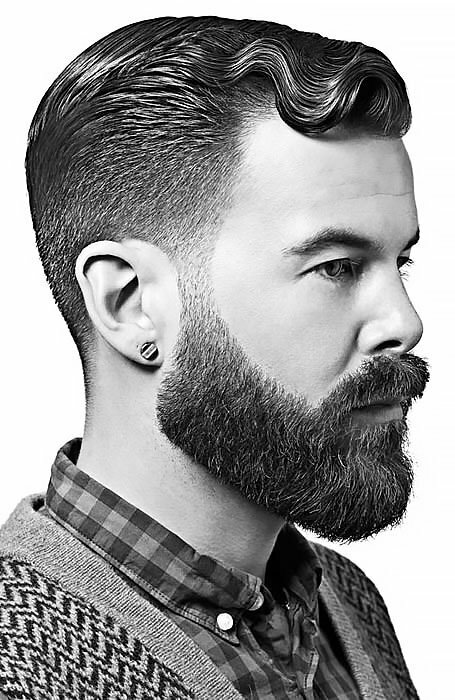 Combining a high-top hairstyle with a fade haircut creates a modern look that’s stylish and eye-catching. 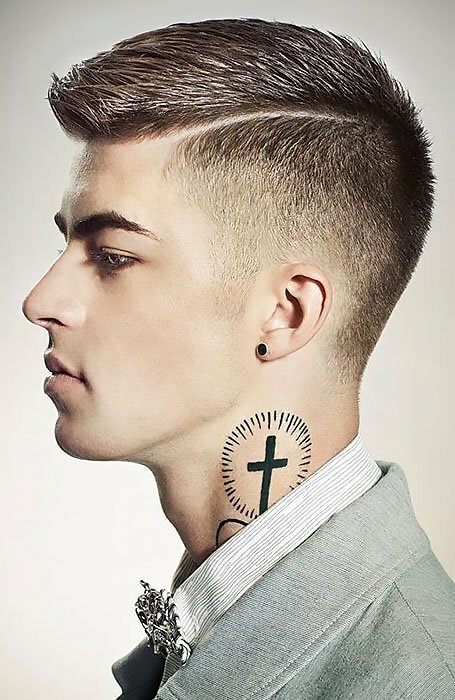 A low fade haircut, which graduates from a longer length on top to reveal the skin near the ears, can be rocked in a high, medium or low style. 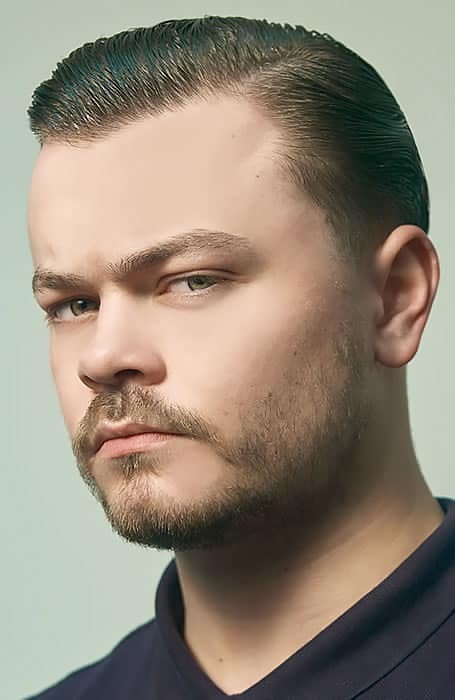 The French crop may be a classic men’s hairstyle, but it can appear seriously modern and fresh when worn in a messy manner. 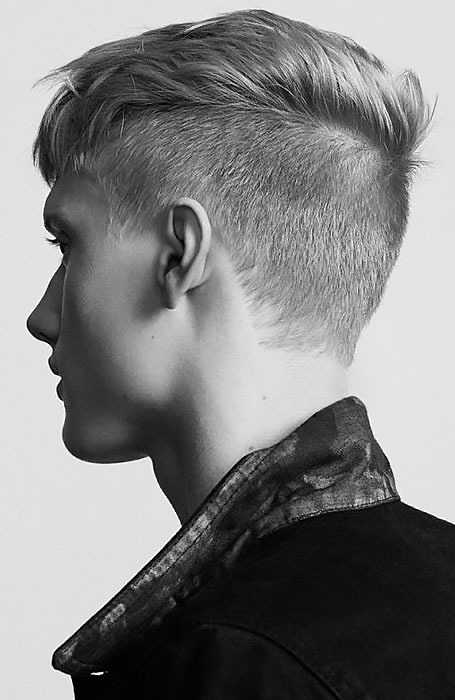 A messy undercut with bangs can make short strands seem seriously exciting. 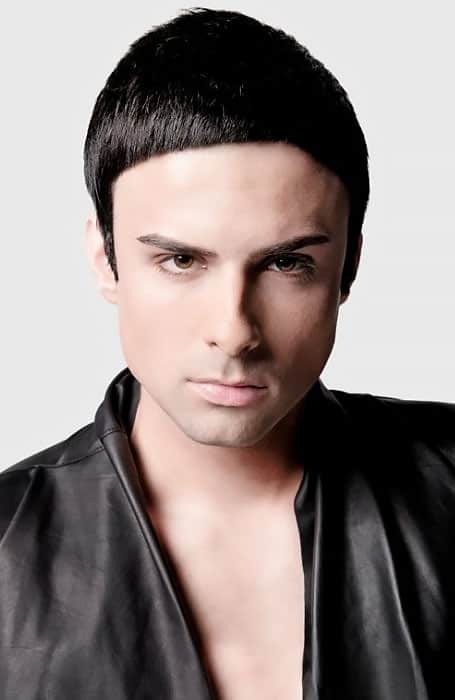 The modern bowl cut is edgy, imperfect, and finishes just below the brows. 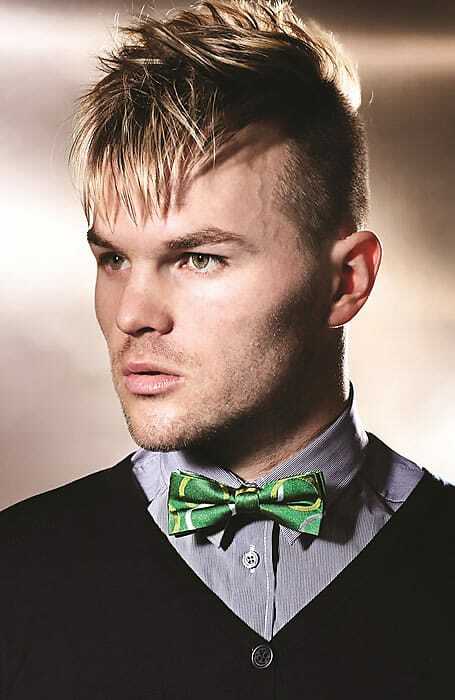 While the traditional Mohawk hairstyle is spiked and severe, the modern interpretation is combed back and more relaxed. 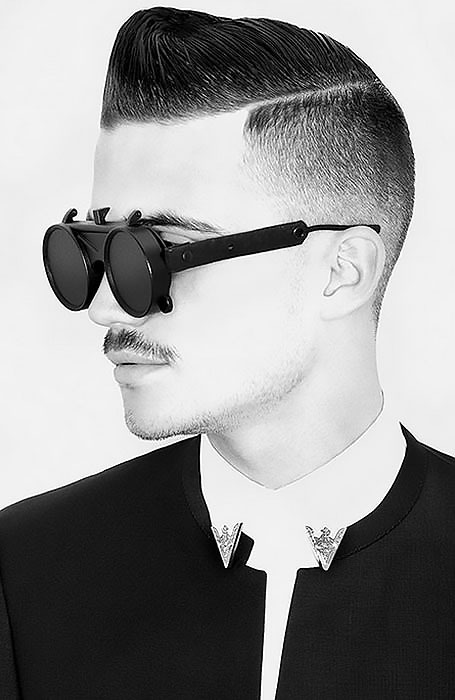 Short and spiked hair can appear youthful and edgy without looking dishevelled or juvenile. 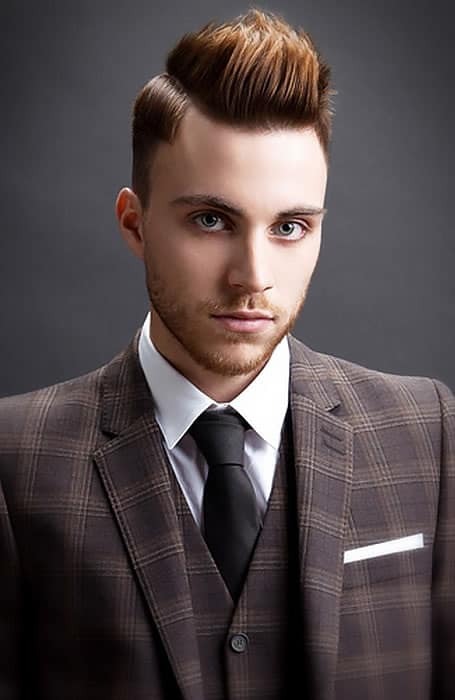 A Caesar cut, which is traditionally combed forward to create a small fringe, can appear more subtle and contemporary when worn short. Don’t think that just because your hair is short that your bangs can’t be long. 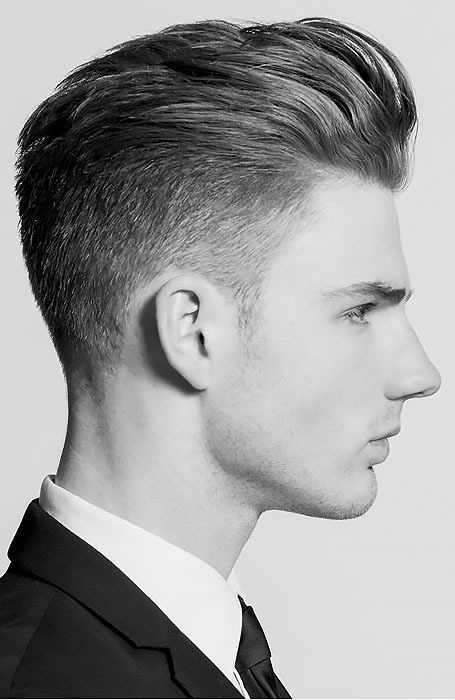 Try styling your short haircut with a side part for a look that’s handsome and refined. Add a touch of classic charm to your short hairstyle with the addition of finger waves at the front. 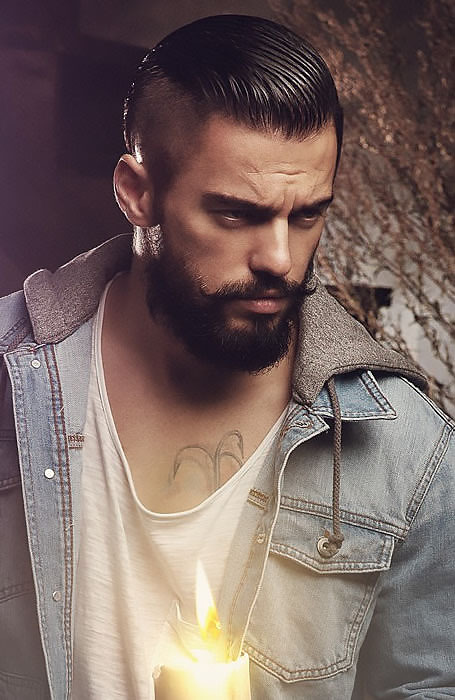 Inject a bit of attitude into your short hairstyle by asking your barber to shave a hard part into your strands. 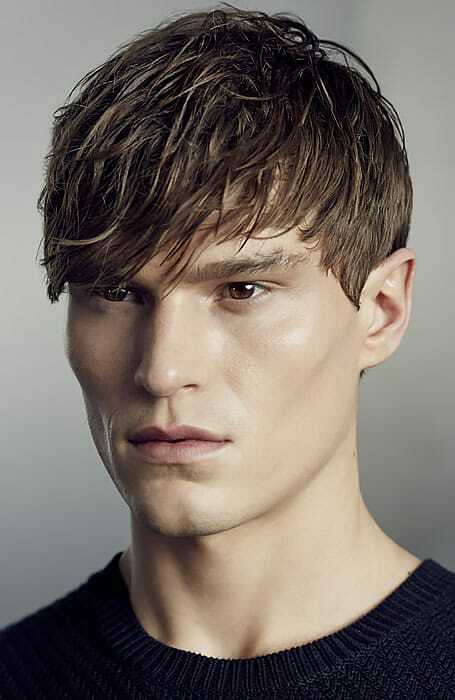 Keep your short strands looking modern and fresh with the addition of some rugged and messy bangs. 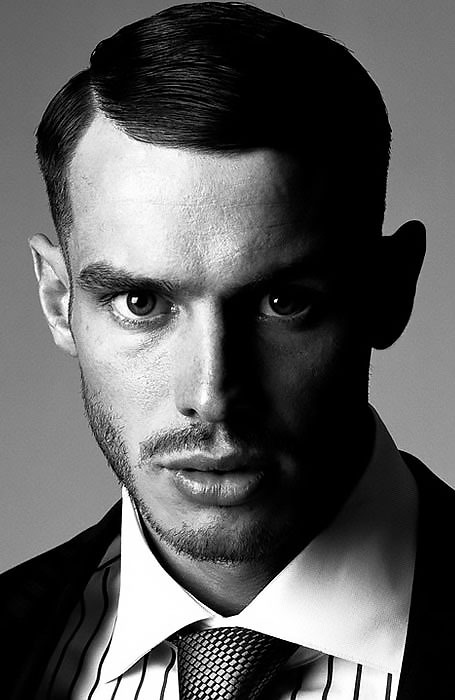 Embrace a fade haircut with a side part style when you’re after a look that’s elegant, masculine, and timeless. 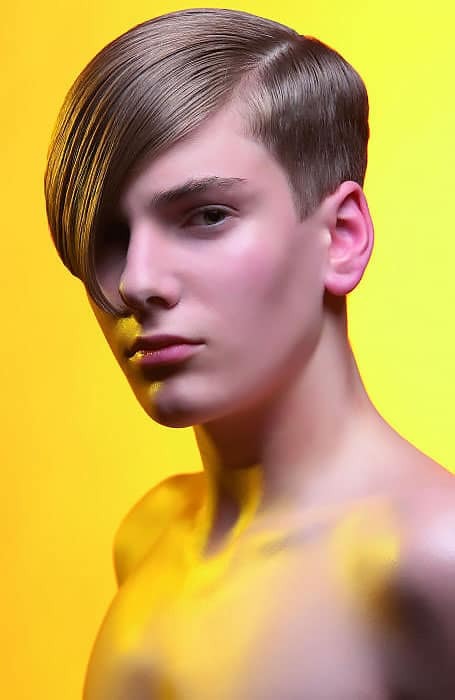 Banish plain and shapeless, short haircuts by opting for a fashionable style that features a side part and bangs. 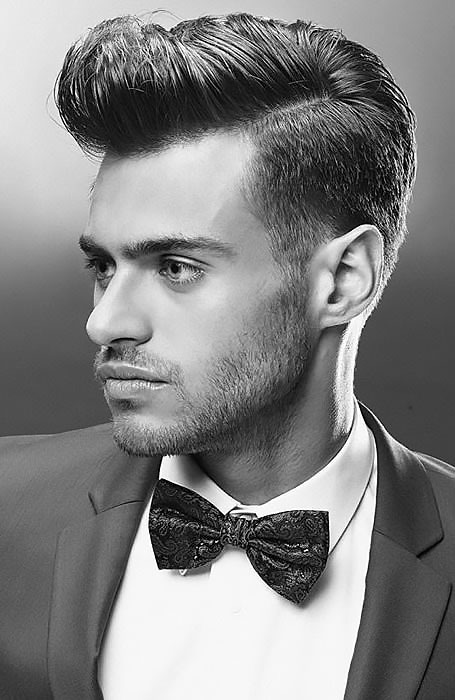 A pompadour with a taper fade can make a dapper grey hairstyle for distinguished gents. 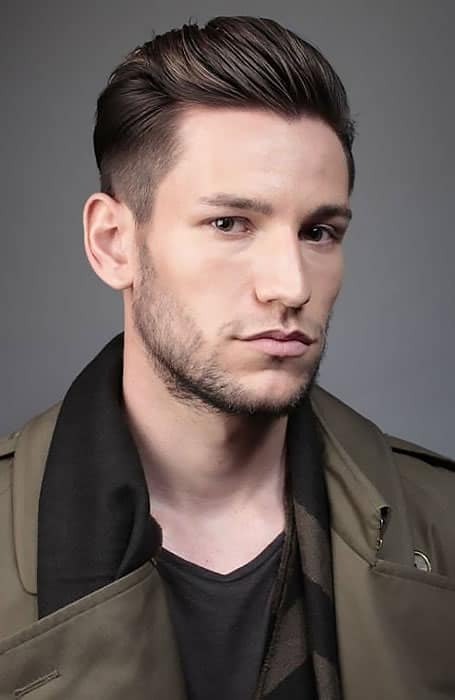 A slicked-back undercut may not be the best business haircut, but it does create an awesome look for gents who don’t have to spend their days stuck in an office. 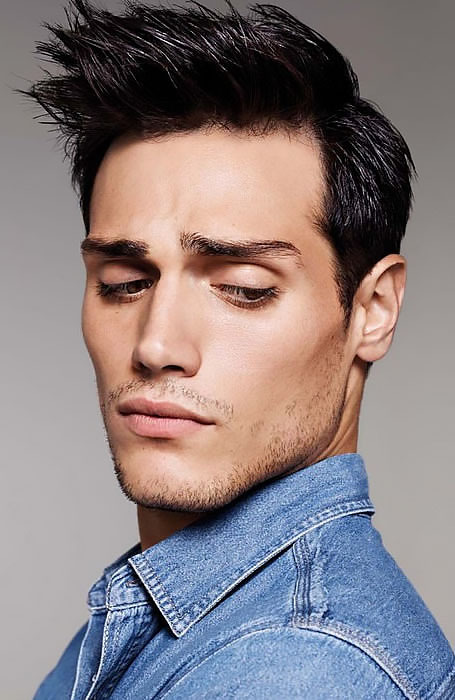 If you’re the kind of gent who enjoys wearing a suit and loves a classic look, then a slicked-back hairstyle with a side part is for you. 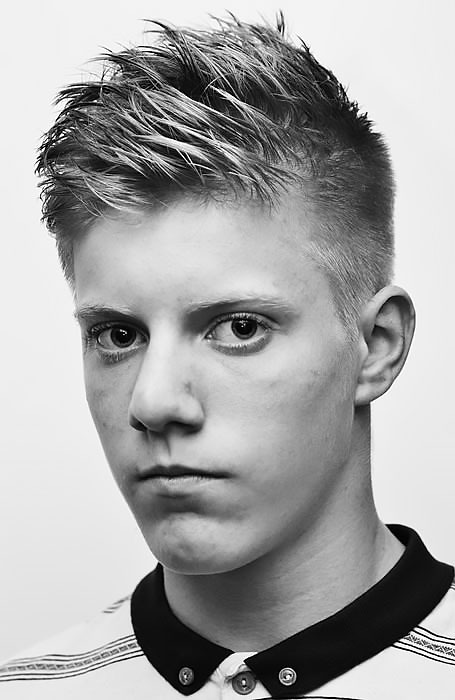 While side part styles are typically combed flat and neat, spiking up the section on top can be a unique and cool alternative. 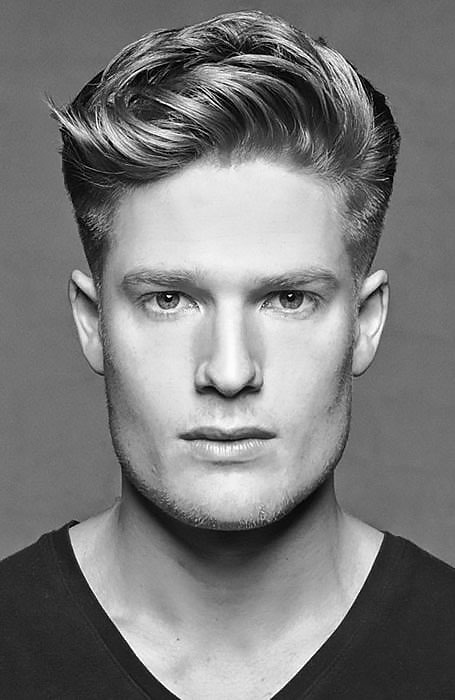 While it may take a little practice to get right, a structured quiff can make an excellent, eye-catching style for daring gents. 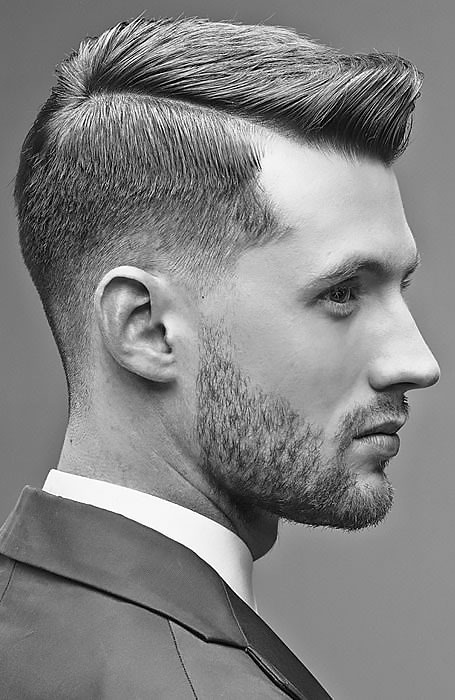 If you have broad facial features, you should try rocking a taper fade pompadour for a look that’s both stylish and balancing. Nothing makes a cropped cut feel more modern than the addition of texture. 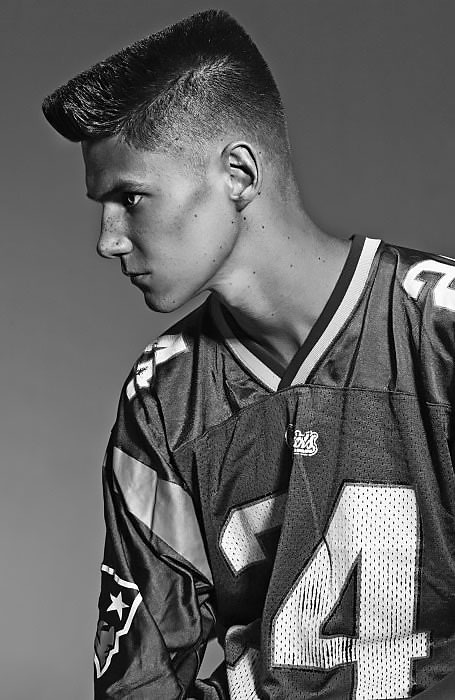 Don’t be afraid to add some texture to your quiff for a look that’s equal parts classic and modern. 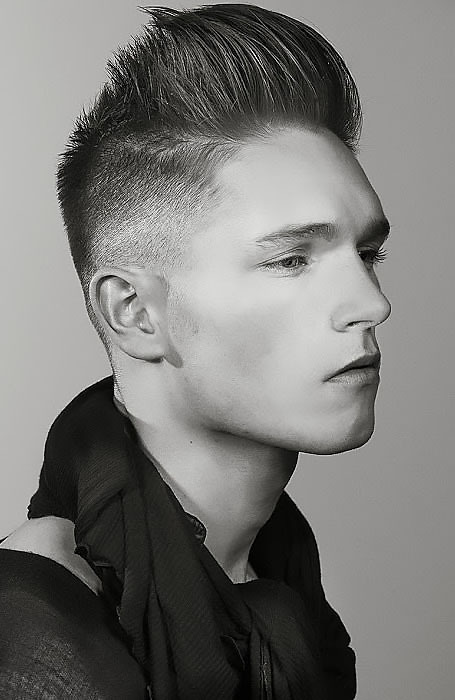 An undercut is one of the most popular hairstyles for gents today. 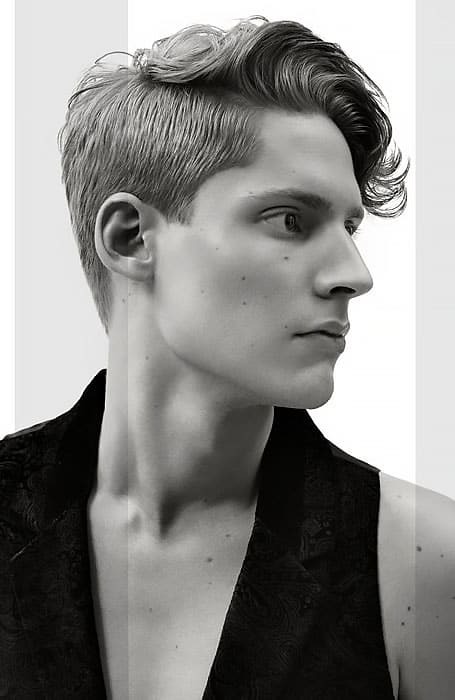 Thanks to its long length on top, the cut is also versatile and can be styled into anything from a pompadour to slicked-back look. Opting for short sides creates a look that appears clean and neat while leaving locks longer and wavy on top adds a relaxed and carefree vibe. 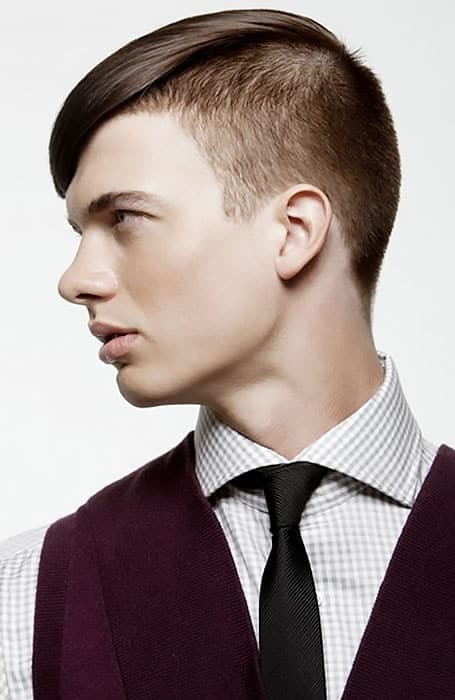 A long and wavy Ivy League haircut is perfect for polished gents who like their short strands to look modern and fresh.